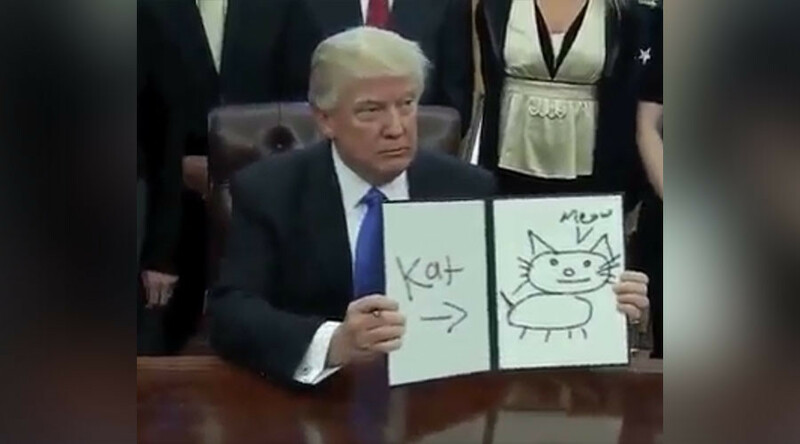 A new Twitter account trolling Donald Trump with satirical gifs of the president showing off his child-like drawing skills is gathering online eyes, racking up more than 151,000 followers in a less than two days. From a house to a horse, the the spoof @trumpdraws account mocks the businessman-come-politican, showing off his art efforts, complete with spelling mistakes. The short clip manages to capture Trump’s proud expression that can't help but remind you of a child showing off his latest art creation. The spoof account has also spawned the #trumpdraws hashtag, with online users sharing their own take on the drawing abilities of the president.